Many organizations are gearing up for planning sessions during the summer. But if unanswered questions – about program priorities or effective processes – are holding you back, maybe you should consider conducting an online survey to try to get some answers. We’ve used an online survey a couple of times over the years at the Wild Apricot blog. Earlier this year, we conducted a blog reader survey to find out the key topics our readers wanted us to cover. While it was brief – just 9 questions – it allowed us to capture some interesting data on who is following our blog and why. We also gained insight into the key issues facing small non-profits and member-based organizations, which we’ve been sure to include in our editorial calendar. There are a number of online survey tools – such as SurveyMonkey and Zoomerang – that are very easy to use (I’ve used both and if I can do it, anyone can!). Many offer low-cost options and some offer free versions. Some systems offer tools and templates for displaying survey results – such as different types of graphs or charts. An earlier Wild Apricot blog post – Top 10 Cool, Easy-to-use Web Poll and Survey Tools – offers an overview of the various online survey tools. Be sure to have introductory text at the beginning of the survey to provide context and assurances of privacy. Group questions together by subject. Make sure that if there are multiple questions for which some respondents would select “N/A,” these questions are next to each other and can be skipped together. Ask for demographic information (name, address, income,...) and any more personal questions that might make the respondent uncomfortable at the end of the survey. Hopefully they’ll be more at ease with the survey by that point; if not, you’ll still have their earlier answers. Make sure that the “done” message or “landing page” of the survey thanks respondents, reminds them of the importance and privacy of their responses, and if applicable, asks them to refer friends to the survey as well. If you have a blog – create a post explaining why you’re conducting the survey and link to it so they can participate immediately. Include a note in any regular member/supporter emails, or create a specific email blast to introduce the survey. Include information on any newsletters you have going out – create an eye-catching visual that draws the reader to the survey info and link. Don’t forget the folks who aren’t on email – post a message on your website or include a note in any regular mailings you have going out. In all cases, don’t forget to identify the timelines (start and closing dates) in any and all communications and be sure to go back and deactivate the link once the survey is closed. 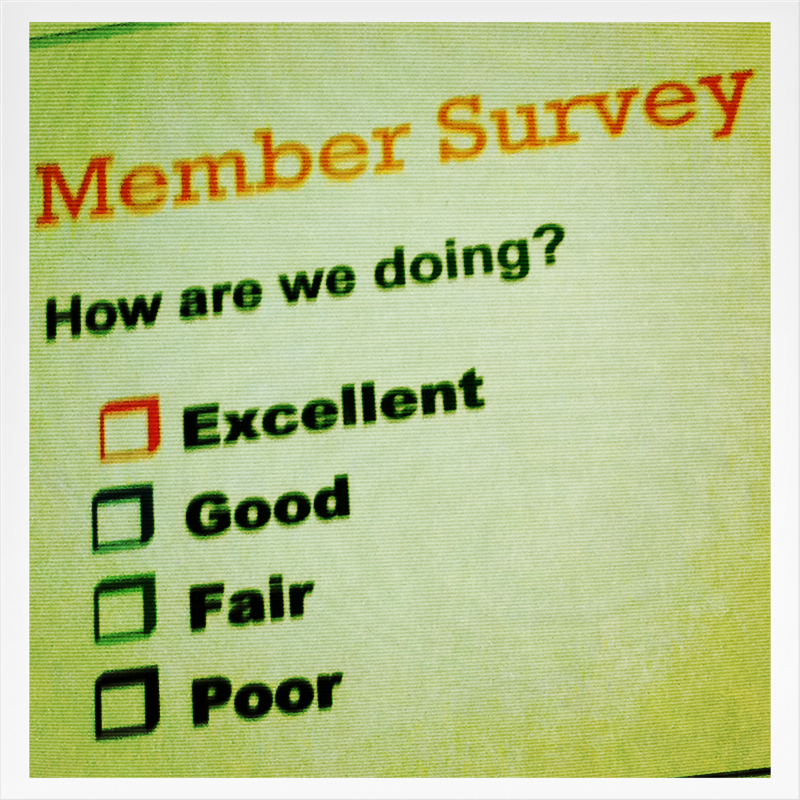 Do you think an online survey might help you gain effective feedback from your members or supporters? If you’ve got additional tips, words of wisdom for your fellow non-profit colleagues about online surveys, drop us a note in the comments below.